THIS WEEK’S RANDOM QUESTION: Do you have people in your life (face-to-face) that are readers like you? Or, do you find that you have to reach out to those online in order to find like-minded folk? 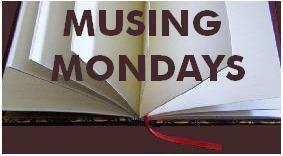 PLEASE LEAVE A COMMENT with either the link to your own Musing Mondays post, or share your answer in a brief comment here (if you don’t have a blog). Thanks! My musing this week has not so much to do with books in particular as it has to do with the sanctuary of books and those who should be reading them. That’s right, the library and its potential users. The library to me when I was growing up was just that, a sanctuary. 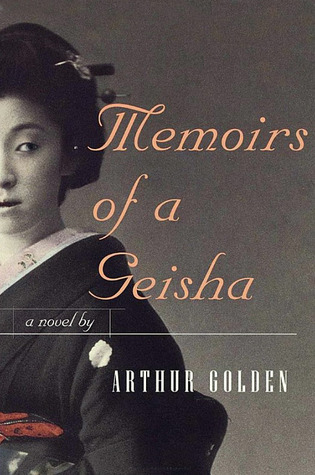 I didn’t always get along with my family du to conflicting interests, and no one else shared my love of literature. You could say that I escaped to the library to lose myself and my teenage worries in books, and I still do. Anyway, the point is that I loved my old library. The building was from the 40’s, a long and narrow room, more like a long hallway with hidden nooks here and there in between shelves of books where you could hide away, and rooms that seemed to just appear before your eyes, the doorways hidden by shelves. It was not a fancy building, and certainly not modern, but it was cozy. Back then, the library was a popular hangout for a lot of young teenagers because of the computer room, we didn’t have our own laptops at home, so we would sign up to have our 30 minutes of gaming time on one of the library computers. Now though, every child above the age of two has their own laptop of iPad, so the computers no longer entice teenagers and children to use the library, which I think is sad. The library is now a grand, open hall with fancy architecture, but it’s almost empty. The thing about the library, is that it is there for its users. Librarians want people to use the library, not because spend money there, which is the case with most meeting places, but because the library is there to serve the patrons, and it’s such a pity for those resources to just lay around unused. Not to mention the fact that in order to build a great library, you need great patrons. So what then, should we do to get teenagers to use the library? There is no point in spending money on books they won’t read, so what should we offer them? I was thinking along the lines of a gaming room with couches, playstation, an Xbox and so on where they could gather and play games together. I could build on that, I could get them to read the books the games are based on, discuss the changes done to the plot to have it fit as a game (or from game to book), and so on. But what do you think? What would you do to make the library a place where teenagers could meet up and just spend time, a meeting place. We don’t have to get them to read books, that’s not the point, the point is to get them to use the library, because a modern library is about so much more than just books. I should mention that I’m writing my Bachelor assignment on this subject, so not only am I really passionate about this, but I would absolutely LOVE your input! This entry was posted in Books, Musing Monday and tagged librarian, Library, Musing Mondays, Reading, Teenagers. Bookmark the permalink. Oh trust me, my library was not hip! It is very modern now (they build a new one a few years ago), but it was in an old building built by the Germans during the Second World War when Norway was occupied. But to me it was exciting because it was somewhere I went that my family did not, and since it was a very oddly shaped room, things such as doorways tended to be hidden behind corners and bookshelves until you almost walked past them without noticing. Like you I grew up using the library and I took my children from a very early age. Today they still use it and I think that is the key. Start them young and they will continue to go as they get older. I agree with jonesjar. Get them in young. Your library probably has story time and other things for preschoolers, but try some things for the upper elementary like a movie on a half day of school. Also, coordinate with school librarians or even classroom teachers to encourage students to use the library for research. I loved my library as a child, and it was definitely a sanctuary. This was long before computers or games…we’re talking way back in the day. My library then was one-half of the building that also included the village Post Office. Now when I go into an old post office, like the one in the foothills where I lived for a while, the scent reminds me of that old library. There have been many much more “hip” libraries I have visited in recent years, but nothing quite says library like that old one. As for teens…your ideas sound great. I know that hooking them with the games would be a way in. I have always joined the library wherever I have lived and visited frequently until relatively recently. Both my children (who are closer to the age range you are asking about) used the library throughout their teenage years too despite one of them not being a ‘reader’ I think they met friends there because it was warm and convenient rather than to do anything specific but I believe it was because they’d been going since they were tiny, it felt safe. I think we can underestimate the need for this age-group to actively seek safe places to simply hang-out in but I’m not sure that you can directly market the library that way? Interesting post! Yes, and these days, the library is one of the few meeting places where you don’t have to pay anything.. I used to go to the library all the time and I loved it! There was a public library right next to my high school. I would go there after school every day and do my homework or read. Man I miss those days. I like the idea of reading the books the games are based on and how the changes are made to transfer from one to another medium – but a plea from the old lady get them to love books.